Both children have been working with fractions. 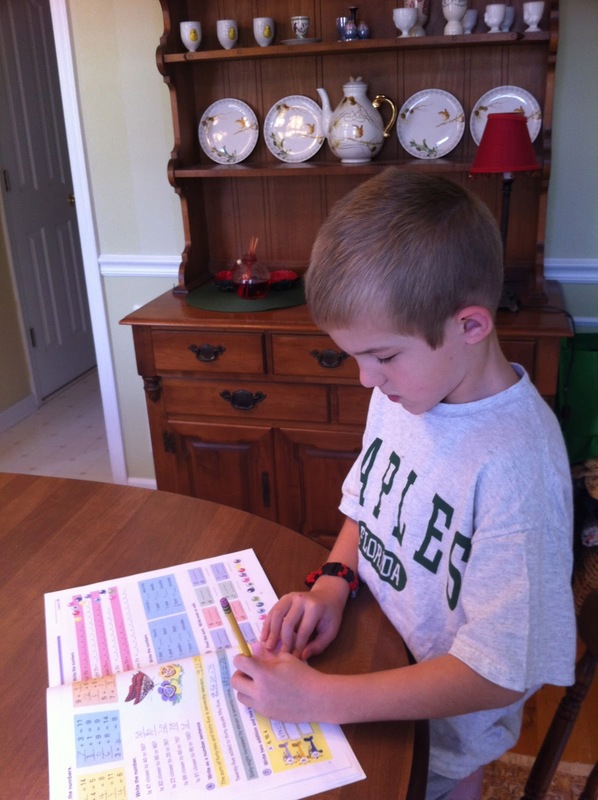 GMan has been learning the very basics (numerator, denominator, shading in the fractional parts). Miss B has been comparing fractions, working with mixed numbers and improper fractions, and reducing fractions. Rather than stay in the math book (which gives my children the BASIC understanding), I decided to seek out Living Books and interesting activities to make our study of fractions more FUN and APPLICABLE. In addition to these resources I've just been trying to make the children aware of how we use fractions in everyday life... and isn't this the best thing about homeschooling? Our children are living EVERYDAY LIFE with us and we have the opportunity to use every singe teachable moment!! 1. 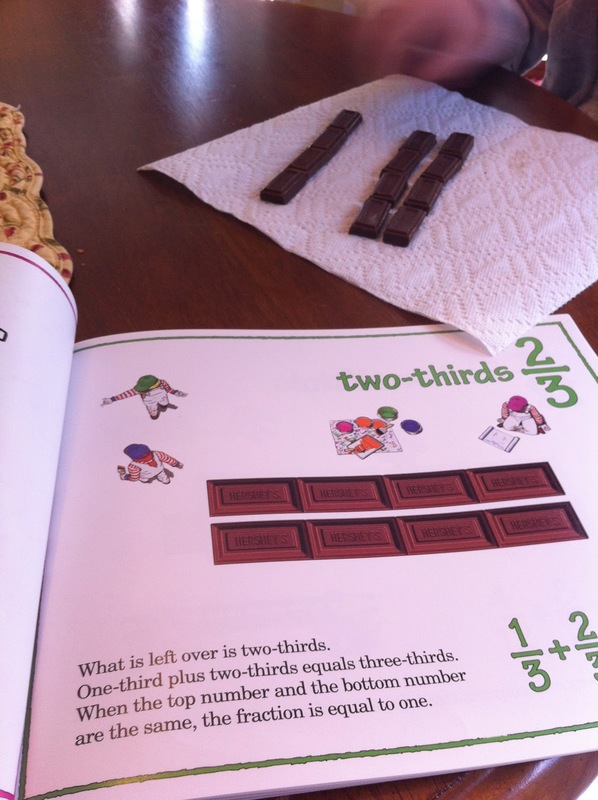 The Hershey's Milk Chocolate Fractions Book - a very basic fraction book, but it's enough to get the children inspired and listening! I actually did some activities beyond the book, too. 2. The Phantom Tollbooth - we actually read this a few weeks ago and when they were talking about fractions I could see the smiles on my children's faces... if you're studying fractions this is a great read-aloud that will show your children how fractions work in real life. 3. Go, Fractions! 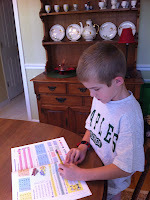 - I love this reader book, and my little guy did, too. 4. 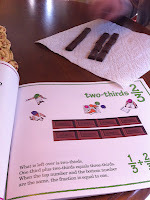 Apple Fractions - by the same author of the Hershey Bar Fractions book - I thought this book was slightly better. 5. Fractazmic! We reviewed this card game a few months ago and it's coming in handy now! 6. 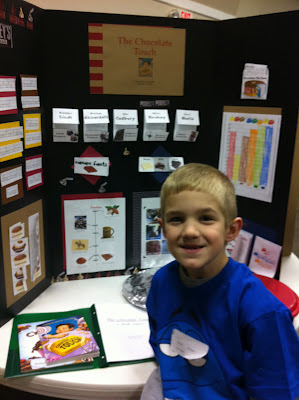 Homeschool Share Chocolate Unit Study - this incorporates A LOT of math activities, and a great minibook about fractions, too. 8. 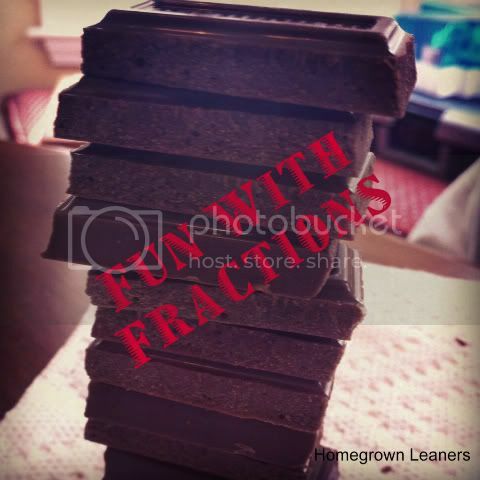 Hands-On Fractions - a Squidoo Lens by Jimmie, of Jimmies Collage - TONS of great ideas here, with fraction bar printables and notebooking thoughts. 9. We incorporated fractions with a literature fair project for GMan - he read The Chocolate Touch and used that book as a basis for a project all about chocolate (which then led to fractions as well) -- I don't think he'll be forgetting this any time soon! 10. MathArt Projects & Activities - We received this book for Christmas and next week will make some fraction flags from it... looks like a very good resource.